Another book in the Anno Dracula series is on the way! 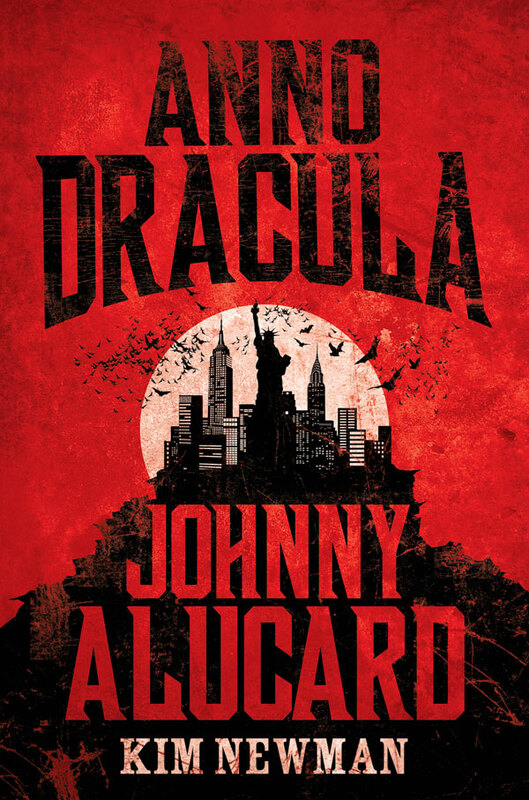 An all new novel in Kim Newman’s popular Anno Dracula series, Anno Dracula: Johnny Alucard, brings the series Stateside to Andy Warhol’s New York and Orson Welles’ Hollywood. Coming out June 25, 2013, Johnny Alucard is the fourth book in this unique series. Check out the book’s cover and more details below! “A brand-new novel in the Anno Dracula series, this instalment takes the series to the States and Andy Warhol’s New York and Orson Welles’ Hollywood. Written by acclaimed novelist and movie critic this long-awaited new book should not be missed. Definitely different, very different, which is always good (especially in vampire literature). I have yet to read the series myself (bad me!) but I hear nothing but amazing things about it. It’s a favorite of many readers. So if you haven’t already, check it out before the new book comes out. For more info on Kim Newman and his Anno Dracula series check out the interview I did with the man himself a few years back. Who here is excited about Anno Dracula: Johnny Alucard? Share your thoughts on the series below. You definitely need to read this series. I love it.